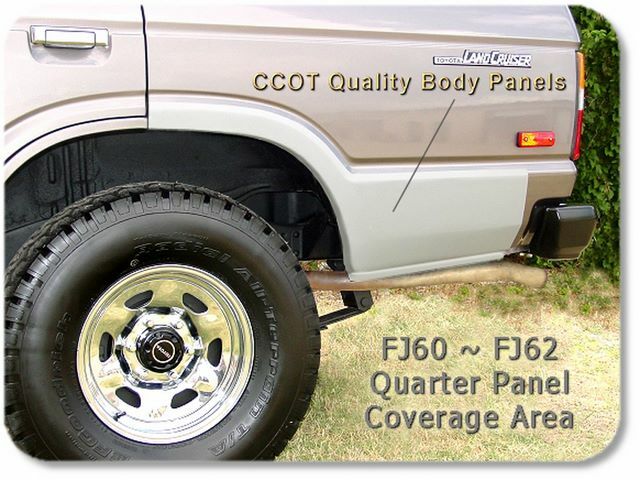 CCOT has built the FIRST EVER Rust Repair Patch Quarter Panel for FJ60/62. Designed by CCOT's number one body man for ease of installation. 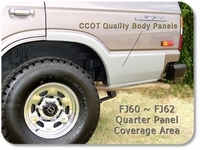 Patch panels are like original quarter panels with original / factory body lines. Quarters are die formed from heavier 18 gauge cold roll steel. Original quarters were made of lighter 20 gauge steel. This is not a cover panel but rather an original replacement skin. Simply, cut away old rusted skin and weld in CCOT's patch panel for an affordable cure to rust repair. 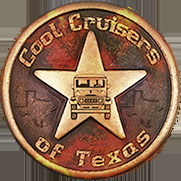 and only offered by Cool Cruisers of Texas.